Pour a better brew. Enjoy the flavor and control of the manual process with on-touch convenience. 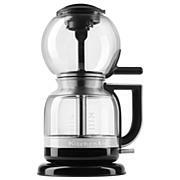 Brew up to 8 cups of clean and bright pour over coffee in the convenience of your kitchen. The progress bar is a visual display of each step of the brewing process, from heating, to pouring, and then steeping. 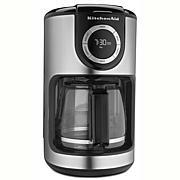 The advanced heating technology heats the waterr to the optimal range of 198°F -204°F at the top of the brewer and therefore minimizes heat loss during the extraction process. Had to exchange, but overall its just OKAY. 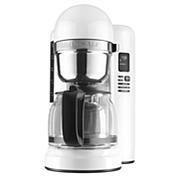 This coffeemaker is beautiful & looks nice on the counter top. I was sad to realize the front is plastic, it is not 100% metal like the mixers but still nicely made. This coffee maker brewed whatever it wanted. Example, If I selected 4 cups, it would only brew 3. 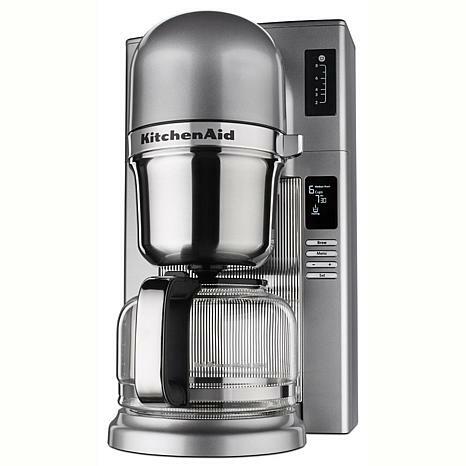 I waited too long to exchange through HSN but KitchenAid was amazing and shipped me a new one immediately. The new one brews precisely.Last reason for my 3 star review, the coffee plate doesnt warm long/hot enough. Drink fast! KitchenAid empowers a journey of discovery that starts in the kitchen. They believe in making over buying, in the craft of creation over the ease of shortcuts, because they know that making is more than a means to an end. Since 1919, KitchenAid, an American brand, has enabled performance with powerful features that help makers make, without doing it for them. 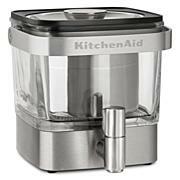 Throughout the maker’s journey, KitchenAid products help them take on new dishes and techniques. Remind me about KitchenAid upcoming shows.